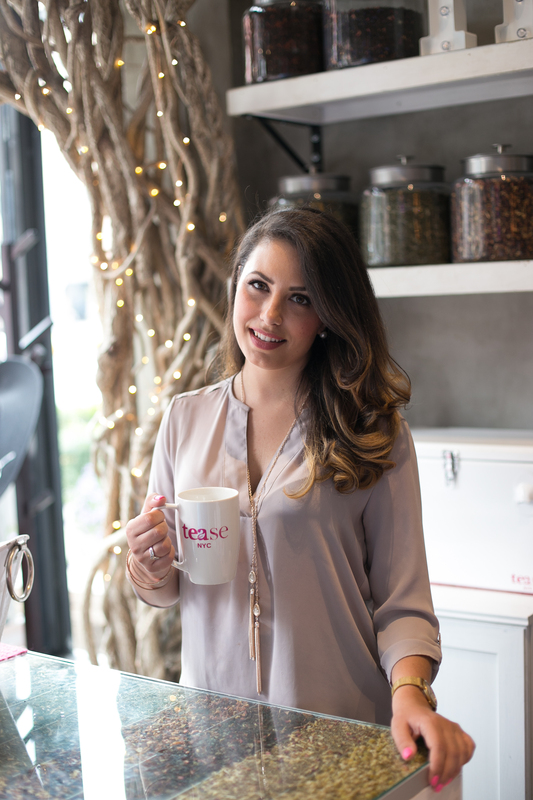 She keeps plenty busy as the CEO of Tease Tea, and believes “however you feel, there is always a tea for that.” Tease Tea was built on a dream and vision to create modern tea blends for every desire while supporting women’s empowerment around the world. 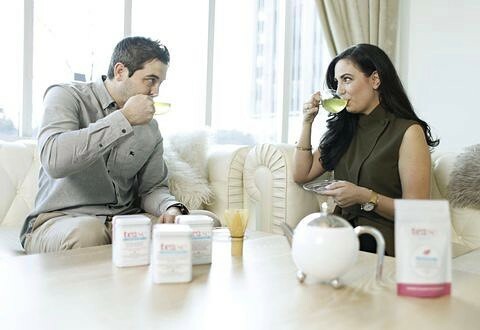 Sheena turned her vision into reality, building her tea femme-pire one sip at a time. Over the past year, Tease has expanded its reach to customers in over 50 countries, while also opening two successful popups in NYC in addition to working with select retailers. We couldn’t wait to hear what Sheena had to say about juggling her busy life and balancing stress, her inbox, and her productivity. Get ready for some serious productivity gems! I have one of those “natural sunrise” alarm clocks since my room is very dark. It mimics a slow sunrise 30 minutes before my alarm which makes waking up a little less abrasive and a little more pleasant. From there, I make a cup of tea or coffee and take my time to enjoy it. I meditate for at least 10 minutes, review my game plan for the day and visualize what it looks like and feels like to accomplish all goals and tasks. Afterwards, I shower, brush teeth, and take a quick scan of my inbox in case there are fires to put out. Then I’m out the door to the office. Plan your day the night before. It creates the mindset for success, as you are taking time to visualize what the day ahead looks like before it even begins. This allows you to tackle that day in a much more organized and focused way. I can’t live without my Best-Self Co. planner, SaneBox, and Google Calendar. Using my Best Self Co. planner, I plan the day ahead and reflect on my wins for the day, and what I could have done better. I also take a minute to write what I am grateful for in that moment. Set dedicated time to “crush your inbox” If you answer emails throughout the entire day, you’ll never actually get ahead. @SaneNextWeek. I can “snooze emails” that don’t require my attention until the following week. 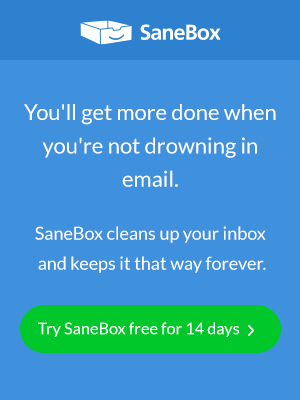 It makes my actual inbox less cluttered without worrying that I’ll forget to reply to any older or archived emails. Email is the biggest hindrance to productivity. It’s easy to become obsessed with checking your email all the time. To combat it, I try to be strategic about when I open my inbox and reply to emails at 2-3 dedicated times a day. Stop everything, and practice breathing exercises and mindfulness by being fully present for 1-2 minutes. That helps to bring clarity to my mind and get back to work effectively. My failures are my greatest opportunities for learning, growth, and improvement. “It has to be perfect.” No – done is better than perfect. Do not obsess about every detail, the perfect launch, the right time to start, etc. Just get started and do it! You’ll always have an opportunity to fine tune things later. Those who wait, actually don’t get much accomplished at all. The Relaxation Response: I recently was diagnosed with hypertension, due to high blood pressure. It’s easy to say it’s partially to blame on stress – though that’s not true. The truth is that I hadn’t learned how to properly cope with stress, and manage the stress in my life effectively with the balance of proper relaxation. This book opened up my eyes to the fact that while some stress is often a necessary ingredient to thrive, it’s extremely important to your mental, emotional and physiological health to always be eliciting the “Relaxation Response” in those “fight or flight” moments we can face in work and life. I used to think of massages as a luxury – I now realize that they can be important for preventative health issues, and again, to help with relaxation. I get regular hour-long massages every few weeks, guilt-free. It’s been one of the best life investments. I’ve also tried to invest more time in the practice of meditation and yoga. The effect it can have on your overall health and wellbeing is well worth it.